Organizations develop standards, procedures, and training to realize improved corporate performance. Improving corporate performance is often achieved by either filling a gap in performance or by moving towards new goals. This description is about employees at the ground floor looking up to determine what is important for their jobs and exemplary performance. LO-PEMEO along with the Business Model are very useful in helping employees put their efforts in the right place to contribute to employee, job, and corporate performance. 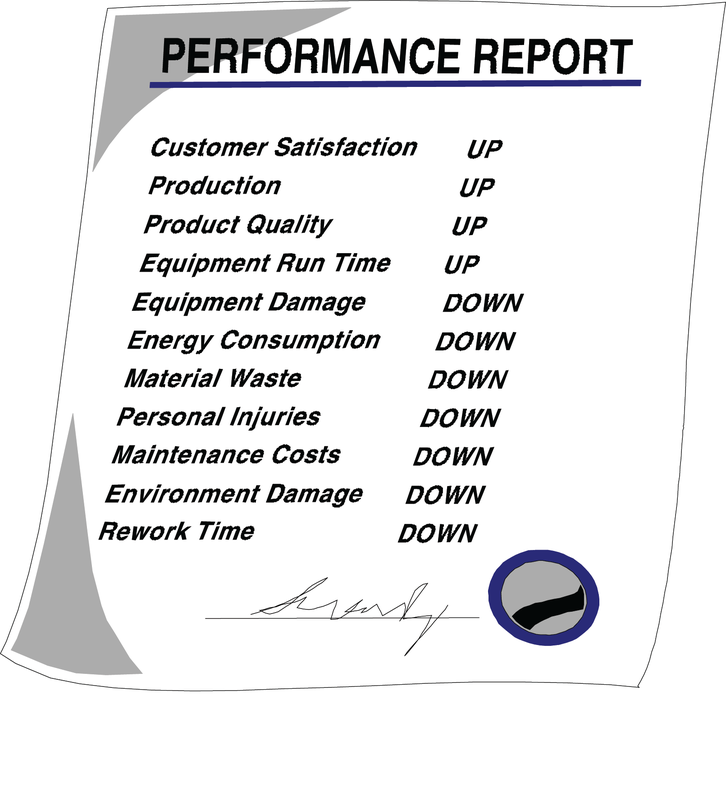 The illustration lists some criteria that could be used to measure corporate performance. This list could have been generated from key performance indicators (KPIs) and strategic business objectives. At the operational or job level, the supervisor also has concerns about performance. Within his or her roles, responsibilities, and authority, the supervisor is expected to maximize productivity and minimize losses. Improved job performance contributes to improved corporate performance. The supervisor therefore represents the concerns and goals of the organization and must use specific resources and assets (including people) to effectively achieve organizational/corporate goals. The supervisor must motivate, coordinate, and assign staff to effectively carry out the work. Ultimately, worker performance affects job performance which, in turn, affects corporate performance. Employee performance affects business results. Employees are expected to work effectively and efficiently and make good use of materials and technology. In turn, employees have concerns about understanding the expectations and working safely, effectively, and efficiently to meet the expectations. 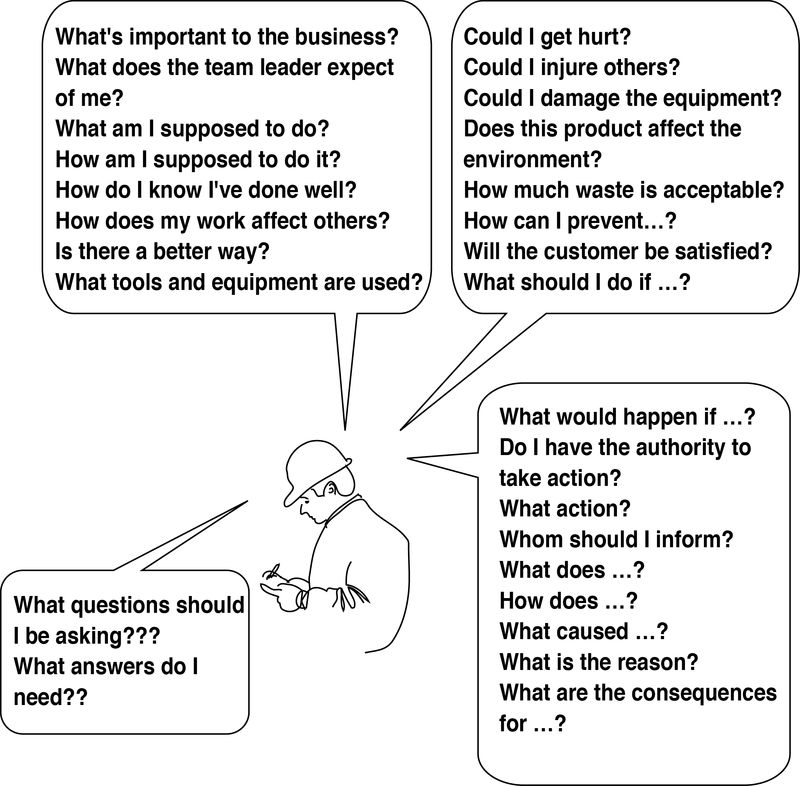 The person new to the job needs answers to these questions to quickly learn to do that job effectively, efficiently, and safely. Understanding what is important provides criteria for focusing one’s efforts and making decisions. LO-PEMEO is a good start in identifying what is important to an organization. Although many of the issues identified by LO-PEMEO are generic, each organization has its own business strategies, resources, and priorities. As such, each organization could place a different emphasis on each issue identified by LO-PEMEO. That’s why asking the right questions is so valuable. Questions focus on key issues; the answers to the questions are unique to the organization, workplace, and specific circumstances. The Exemplary Worker series provides many of the questions that workers need to ask themselves and others to achieve exemplary performance. Do the questions in the above illustration fit the concerns you had when starting a new job?